This Valentine's Day Heart Wreath for your front door is lovely inside or out outdoors. This heart wreath is filled with realistic red roses and burgundy and pink hydrangeas. A lovely Valentines Day gift for her. Great wreath as a housewarming gift, or a Valentines Day gift for your or your loved one's front door. Handmade work of art can be an heirloom for years to come. Measures approximately 16" x 16" x 4 1/2" deep. 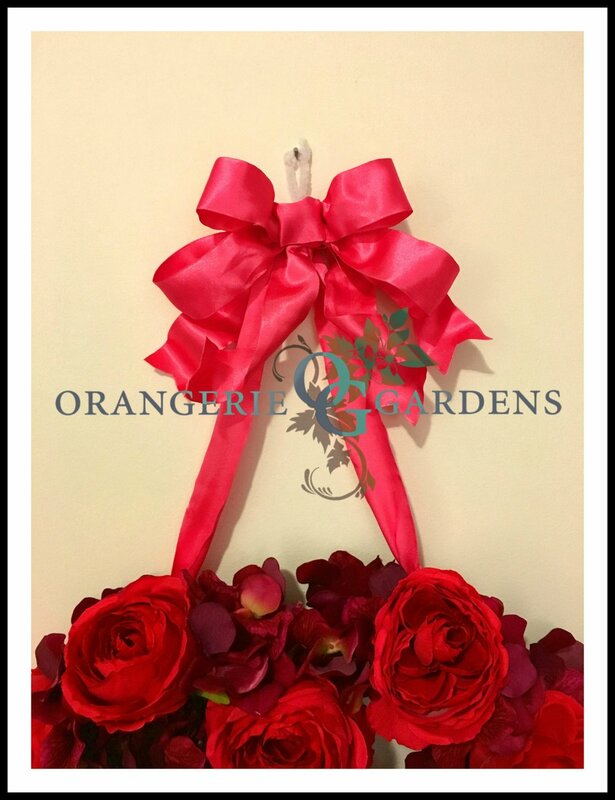 Valentines Wreath for Front Door, Valentines Day rose wreaths door, Valentines Day wreath bows, Valentines Day Wreath, Valentines Rose Decor.